ZillowRosie O'Donnell bought this Florida home with four bedrooms and 100 feet of beachfront with Michelle Rounds in 2013. After the breakup of her marriage contributed to her resignation from "The View," comedian and talk-show host Rosie O'Donnell is parting with more real estate. She sold her Greenwich Village penthouse in December for $9 million, and for months listed a string of four riverfront homes in Nyack, New York. 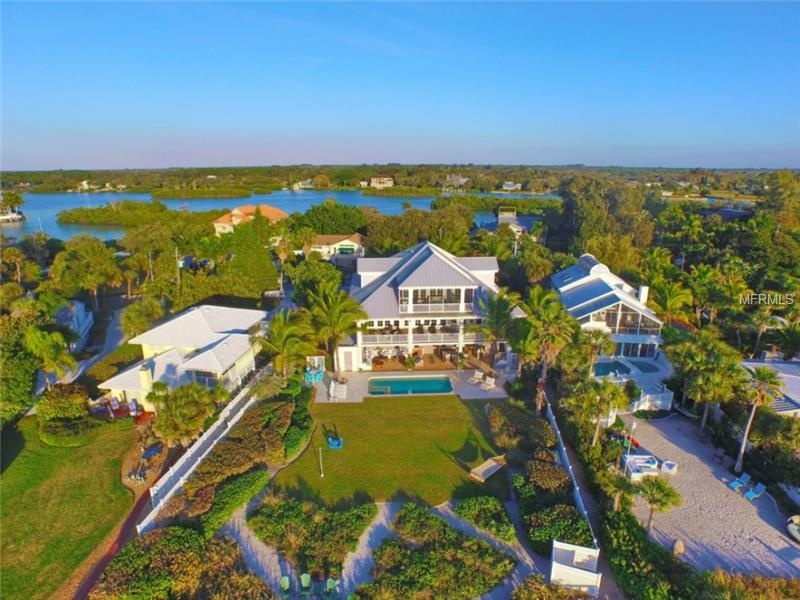 The gated, Gulf-front home near Sarasota has four bedrooms, 5.5 baths and 100 feet of beachfront with a private dock. It's situated on 0.78 acres of an eight-mile-long barrier island called Casey Key. A poolside loggia includes lounging space and an eat-in bar with extra counter space and a television hook-up. Inside, the light and airy rooms have imported French oak floors and tongue-and-groove ceilings. French doors open from the master suite and other rooms onto large balconies with water views. The 4,648-square-foot home has an elevator, a garage that fits at least four cars, hurricane-rated windows and comes with dry-boat storage in a full-service marina less than a mile away. The listing agents are Jill Friedman and Kevin Vale of Coldwell Banker Residential Real Estate.